Fair Trade Organic Coffee Samples with FREE SHIPPING! 100% Gourmet Arabica Coffee. Here's your chance to try out our gourmet organic Fair Trade coffees without breaking the bank. You can choose from 4 of our most popular blends and receive FREE SHIPPING*. You will receive 4 - 2.2oz (62g) packs of our delicious coffee. Each pack makes one strong 12 cup pot of coffee. 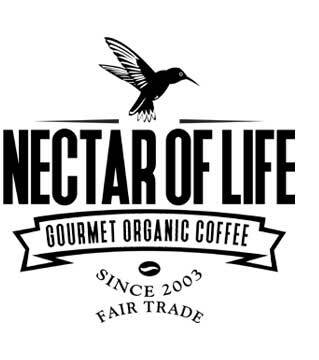 These coffee are guaranteed to be fresh and to your liking. If you are not fully satisfied with this coffee you may return it for a full refund. French Roast - This is one of the most full-bodied French Roast coffees in the world! This blend is comprised of 100% shade grown, certified organic, Fair Trade coffees from Indonesia and the Americas. Roasted to the deep dark French Roast level this blend is spicy, with a dark chocolate finish. Mix it with cream and sugar for a coffee that is out of this world! 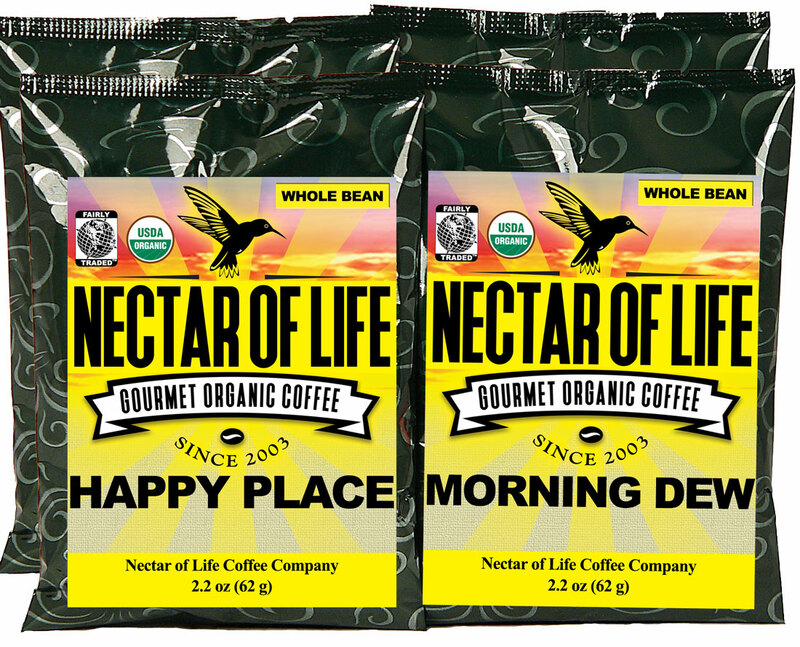 Happy Place - A dark roasted blend of shade grown, organic, Fair Trade coffees from around the world. When times get hectic indulge in this exquisite, dark-roasted coffee, and you too can slip away to your Happy Place! 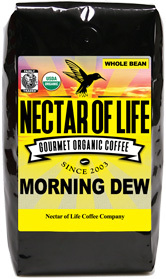 Morning Dew - This is the finest organic, Fair Trade breakfast blend on the market! 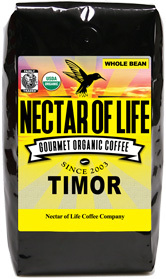 Comprised of Indonesian and Central American coffees this blend is complex and robust. It is medium/dark roasted, and is so full of flavor it will knock your socks off! Morning Dew Decaf. - This is our decaf. version of Morning Dew (see above). The beans for this blend were decaffeinated by organic water processes such as the Swiss Water Process®. You'll love it! I’ve been getting the Komodo organic decaf in sample size because I only drink one cup, twice a week and want it to stay fresh. Komodo is rich, smooth and flavorful, without tasting “smoky”. It’s also obvious that it’s freshly roasted. I have finally found a great decaf that isnt too acidic. Shipping has been pretty quick and customer service is fantastic! Thank you! !